It looks like Intel is building on the little victories it has scored here and there in the smartphone market to make a big push for market share. First off, the company has announced a line of dual-core Atom processors (Clover Trail+). These are 32nm processors known as the Z2580 (2.0GHz), Z2560 (1.6GHz) and the Z2520 (1.2GHz). Intel promises "industry-leading performance" using its hyper-threading technology. While Intel's battery life on past silicon has been nothing to write home about, the company says that the new processors will feature battery life that will match current high-end devices. The trio will support resolution of 1900 x 1200 which sounds like we could see the processors employed in Android tablets. Speaking of Android, the line will support Android 4.2 and HSPA+ 42Mbps modems. The chipmaker has already inked pacts with ASUS, ZTE and Lenovo to use the Clover Trail+ in future smartphones and tablets made by the three manufacturers. The graphics end of the integrated product is covered by the Intel Graphics Media Accelerator engine which supports video in 1080p at 30 fps. It also allows for three times the graphics performance for rich 3-D visuals and lifelike gaming using a core that supports 533MHz using boost mode. The new Atom platform supports two cameras including a primary camera with up to a 16MP sensor and a 15 frame-per-second burst mode for 8MP photos. 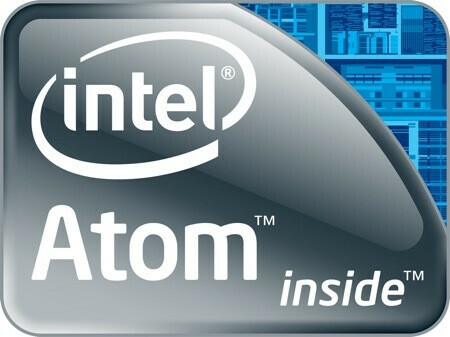 Later this year, Intel will transition to 22nm Atom SoCs. Intel also announced its quad-core Bay Trail processors for use in tablets. Performance doubles its current processor line for tablets and in the future, this line could be produced using 8nm technology. By the time the turkey has been consumed in 2013, expect to see the Bay Trail processor in Android and Windows 8 tablets produced by names like Acer, ASUS, HP, Lenovo, LG Electronics and Samsung. Lastly, Intel announced its first multimode and multiband LTE chip, the XMM 7160. The chip draws only a small amount of power with its small size. The XMM7160 supports 15 LTE bands simultaneously and just one chip SKU gives OEMs connectivity for LTE, DC-HSPA+ and EDGE. Th ce multi-mode chip will be ready in the first half of the year with Intel shipping single-mode units now. The company is hoping that eventually its processors will be ready to go along with the XMM7160 to provide an integrated offering for manufacturers combining the processor and radio. 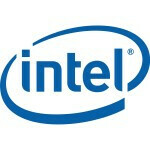 BARCELONA, Spain--(BUSINESS WIRE)--MOBILE WORLD CONGRESS – Intel Corporation today announced a range of new products, ecosystem and enabling efforts that will further accelerate the company’s presence in mobile and help usher in new devices and richer experiences with Intel Inside®. With WUXGA display support of 1900x1200, the platform will also enable larger-screen Android* tablet designs. It also includes support for Android* 4.2 (Jelly Bean), Intel Wireless Display Technology, HSPA+ at 42Mbps with the Intel® XMM 6360 slim modem solution, and the new industry-standard UltraVioletTM Common File Format. 1 Compared to the Intel Atom Processor Z2460 platform; Graphics clock will vary based on SKU: Z2580, Z2560, Z2520. 2 Compared with competitive solutions shipping in market today. I wonder what the SAR level is, when this goes dual-core? Sh!t, 1 intel chip can kick 1.9GHz stand alone, if i'm not mistaken... What is it thats pushing that Motorola Razr i.
I think I'll be more interested when they hit 22nm. Unless they can wow me with power efficiency, there are better options. Read Please???? "this line could be produced using 8nm technology"
Serious? It says "could". They haven't done it yet. I don't buy hypothetical. is there any issue of ARM apps not working on intel? Apps that use native api will have trouble working on x86 instruction set. For apps that use android sdk api only...will run just fine! Once we see chips on 14nm or even less, the power consumption and over heating won't be a concern any more. Both Intel and ARM will be free to go all out, and the matter is only who gets there first. In any case we will see some incredible processing powers on the go. "three times the graphics performance" compared to what exactly?